Kent Business School is delighted to feature as a higher education example of best practice in the June 2014 edition of Lord Young’s ‘Enterprise for All’ report. Lord Young is an adviser to the Prime Minister on small business and enterprise and earlier this year he visited Kent Business School to launch the School’s annual Enterprise Day. At this event, Lord Young was able to see first-hand how the School proactively supports entrepreneurship and exposes its students to enterprise opportunities. 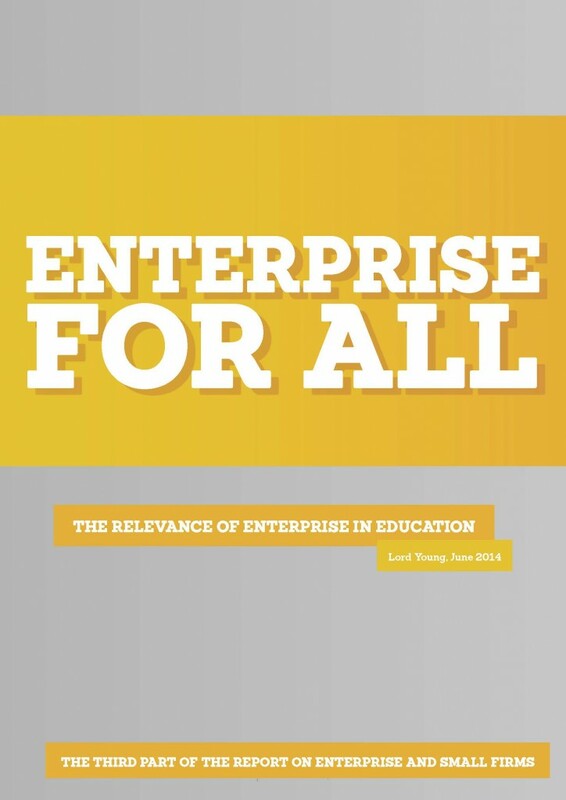 The ‘Enterprise for All’ report focuses on the relevance of enterprise in education and highlights methods in which to make the higher education system more efficient and diverse. Covering all levels of teaching, the review looks at what is being done in different institutions to ensure young people are equipped with the skills and practical experience needed for the workplace. This includes giving young people entrepreneurship training and helping them to gain the knowledge needed to set up and grow a business. Kent Business School is recognised in the report for its commitment to developing employable graduates and for putting ‘enterprise at the heart of its mission’. Over the years, the School has established strong connections with multinational corporations as well as small to medium-sized regional enterprises and regularly gives students opportunities to interact with different business leaders both inside and outside of the formal programmes. Enterprise is embedded within the teaching curriculum through two very popular undergraduate modules – ‘Enterprise’ and ‘Business Start-up’ as well as through outside activities including the annual Enterprise Day, ‘Business Insider’ talks and the ‘Pitch It!’ scheme. David Williamson, Director of External Services at Kent Business School. It is excellent to have Kent Business School’s enterprise efforts cited in Lord Young’s report for our regular external engagement with the business community as well as for our student support systems which encourage innovative and dynamic thinking. Enterprise will certainly remain a top priority within the School and will continue to form the foundation for business events and activities within the coming years.